The boy showed her to her door and departed, but the woman did not go inside. She went instead to the room number he had given her for Henry W. King. She rapped on his door, but it was early and King was not yet dressed and told her to wait. When he came out they walked to the parlor floor and were barely noticed as they engaged in conversation. Most of the hotel guests were still in bed and a few were enjoying a quiet breakfast in the dining room. The peace was shattered when four shots fired in rapid succession set everyone wildly scattering. Henry King was seen staggering down the steps leading from the balcony at the west end of the hotel. Reaching the landing he fell to the floor with blood spurting from his mouth. He died without a word. Henry W. King, Jr., known as Harry to his friends, was the son of Henry W. King, co-founder of the wholesale clothing firm of Browning, King, and Co., headquartered in Chicago, with branches in eight other American cities. Henry King, Sr. was prominent in Chicago both socially and financially. His son Harry was a thirty-year-old graduate of William’s College with a promising future ahead of him, but he had been living a fast life bringing trouble and anxiety to the family. The woman who claimed to be Mrs. King was taken to County Jail where she told her story. Her maiden name was Elizabeth Beechler and she told the police that she married Harry King on October 29, 1886. They were staying at the Windsor Hotel in Quincy, Illinois and Harry brought in a man who was either a minister or a magistrate to perform the ceremony and Harry signed a document saying that they were man and wife. She was somewhat skeptical but he convinced her that they were legally married. Harry did not want his father to know about the marriage, so they lived in Quincy Illinois as Mr. and Mrs. Charles L. Legarde. When the money began to run out they moved to a cheap apartment in Chicago. He still wanted to keep the marriage secret, so they leased the apartment under the name Beechler. Around February, Elizabeth told Harry she was pregnant, but Harry was not happy with the marriage and began talking about separation. They had a violent argument and Harry struck her in the side, resulting in a miscarriage three weeks later. The couple separated for a while then got back together again. By this time Henry King, Sr. had learned of Harry’s activities; he paid up his debts in Quincy and offered Elizabeth $1,500 to give up all claims upon his son. She consulted an attorney who advised her to take the money and be glad to be rid of such a man. But, according to Elizabeth, Harry told her he could not get along without her, so they stayed together in Chicago. In the summer of 1888, Harry moved to Omaha and promised to bring Elizabeth there when he was settled in business. Before long, Harry stopped sending her money and Elizabeth had to pawn her jewelry for money to live on. When Harry did not answer her letters, she went to Henry Sr and asked for money. He again offered her $1,500 to sign separation papers and this time she agreed. Soon after this, Elizabeth learned that Harry had married a woman named Alice Duffy in Omaha. She was also advised that the separation papers were not legal and she was still married to Harry. Elizabeth went to Omaha, not intending to murder Harry but to inform Alice Duffy that Harry was already married and to discuss matters with Harry. When the case went to trial it generated tremendous interest and, wife or not, Elizabeth had the sympathy of the people of Omaha from the beginning. Women especially were drawn to the trial; the three front rows of the spectator’s gallery were reserved for women and each day they were filled well before court opened. The prosecution’s case was straightforward, Elizabeth had come to Omaha to murder Harry King, when he walked away from her she shot him four times in the back. The defense claimed that she had not intended to kill Harry and did not fire until he grabbed her by the throat and cried, that damn her, he could silence that tongue. 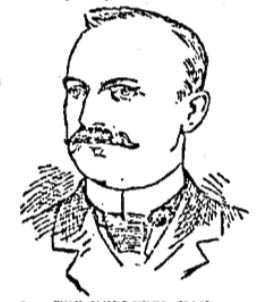 The defense attacked Henry King Sr. saying, “The docket shows it to be the state against the defendant, but the prosecution really is Henry W. King, Sr. against one woman,” and “She had lived as a virtuous, true woman all the time since October 1886 when she married King, and if there be a witness who will appear to swear otherwise I denounce him in advance as a King-bought perjurer.” They also asserted that the defendant should be acquitted because she was suffering from transitory insanity at the time of the shooting. Sympathy remained in Elizabeth Beechler’s favor and the jury deliberated for only thirty-five minutes before finding her not guilty. “Acquitted Of The Murder Of H. W. King, Jr.,” New York Tribune, April 11, 1889. 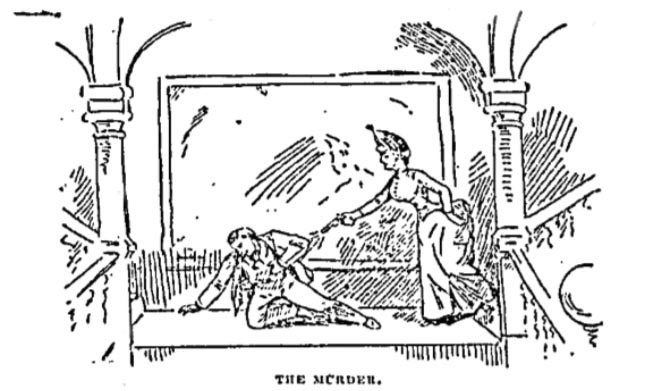 “After the King Killing,” Omaha Herald, November 19, 1888. “Arguing for Conviction ,” Omaha Herald, April 10, 1889. 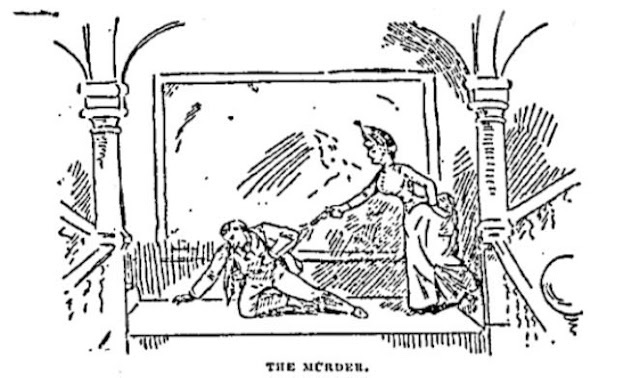 “'I've Murdered my Husband',” National Police Gazette, December 8, 1888. “Lives Held Up,” Omaha World-Herald, April 3, 1889. “Miss Beechler Acquitted,” Kalamazoo Gazette, April 11, 1889. 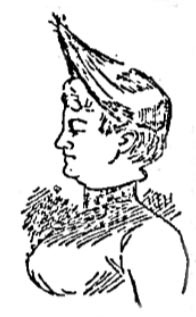 “She Made a Scene in Court ,” Omaha Herald, April 4, 1889. “Shot to Kill ,” Omaha Herald, November 18, 1888.